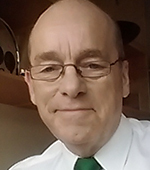 Andy has been a member of IMAPS-UK since 2002 and a member of the IMAPS-UK Committee since 2004, taking on the role of Vice Chair in 2005 and becoming Chair in 2007. During the 6 years in office he was involved with overseeing a transition of the IMAPS organisation requested by USA and Europe, revising the office support and hosting the 40th Anniversary MicroTech. Andy also represented IMAPS-UK as part of the UK Electronics Alliance UKEA (now known as ESCO) and introduced a series of very successful 1 day workshops on Microelectronic Packaging. Andy’s business life revolves around being CEO of PandA Europe, a technical consultancy in Microelectronics interconnection, packaging and assembly technologies. He is also Co-Chair of the SEMI Advanced Packaging Conference committee, a founder member of ESiPAT, the European packaging, assembly and test special interest group and a member of the EPSRC College. PandA Europe provides secretariat services for IMAPS-UK.